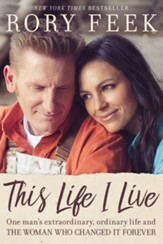 Setting aside their careers while anticipating the birth of their daughter with Down syndrome, husband-and-wife country music duo Joey and Rory simplify their lives by staying at home and planting roots deep in the soil of the farming community they love. They believe God will give them a great story- and he does! 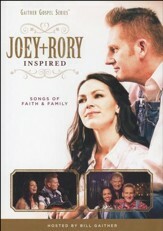 DVD includes bonus features "I Am Not A Mistake," "Not To Die, But To Live," a family photo album, and new Joey + Rory Song "In The Time That You Gave Me." Film runtime approx. 90 minutes. 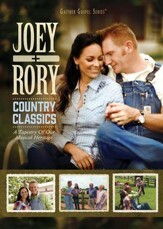 First coming to national attention on the CMT competition Can You Duet, husband and wife Rory and Joey Feek wove their singing and songwriting talents into a string of best-selling country and bluegrass recordings. 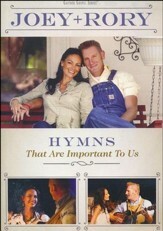 As Joey + Rory, they won Best Vocal Duo awards, hosted their own TV show, and performed on the Gaither Gospel Hour, among others places. 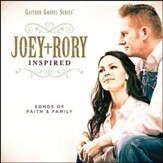 Reflecting their small-town roots and life-long faith, the duo partnered with Gaither Music Group in 2013 to release their first Christian album, a blend of classic Gospel and original, story-telling songs of Christ, comfort and grace. 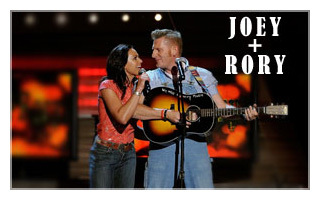 Joey + Rory would follow that with two more best-selling collections for the Gaither label, capturing touching live performances and studio recordings while showcasing their down-home style and honest, plain-spoken faith. 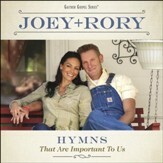 The 2016 release Hymns That Are Important To Us was recorded amidst the tragedy of Joey's terminal cancer diagnosis, and would, in beautiful sadness, mark their final album together. With the passing of his beloved wife and musical partner, Rory Feek announced that he would not continue singing solo, offering his great tribute to love and a life well-lived. Intimately filmed by the couple over two and a half years, To Joey, With Love documents the beloved singing duo’s stirring journey, from the birth of their daughter through Joey’s struggle with and ultimate surrender to cancer- all amidst their never-ending hope in something far greater. The film's soundtrack features favorites from their catalog of country and inspirational hits, including the previously unreleased duet "In The Time That You Gave Me."